Ey up! Out now! The Cops Of Manchester by ColBury Includes the story, MOPPING UP, selected for THE MAMMOTH BOOK OF BEST BRITISH CRIME 9. “Short, sharp, shocking - and all set in my beloved Manchester. Great Stuff!” - Mandasue Heller, bestselling crime writer. “I've been impressed by Col’s writing and been happy to have the opportunity to publish him, twice.” - Maxim Jakubowski, author, editor and publisher. “Col Bury pulls no punches, landing a flurry of hard jabs to the solar plexus that leaves us breathless. This is tight, gritty, bare-knuckle writing.” - Howard Linskey, author of The Drop. “Fast dialogue and edgy plots, keeps you turning the pages. Cracking!” - Sheila Quigley, author of the Seahills series, and the Holy Island trilogy. “Bury has the ability to draw you into a story fast, gripping the reader by lapels and not letting you go. With razor sharp dialogue and a vast array of grim characters, Col Bury epitomises the term ‘Brit Grit’.” - Luca Veste, author of Dead Gone. Ever fancied being a cop? Could you handle the pressure of hunting down a vigilante who’s killing criminals at a ferocious rate? Consider how you would deliver a death message to a distraught parent. Would you protect the public by tailing a gangster’s vehicle, knowing the occupants were armed? Or follow a suspect into a dark alley? How would years of dealing with society’s appalling, and often violent, underbelly affect you? And, does anyone really like a bent cop? Love them or loathe them, cops run toward danger as everyone else flees. 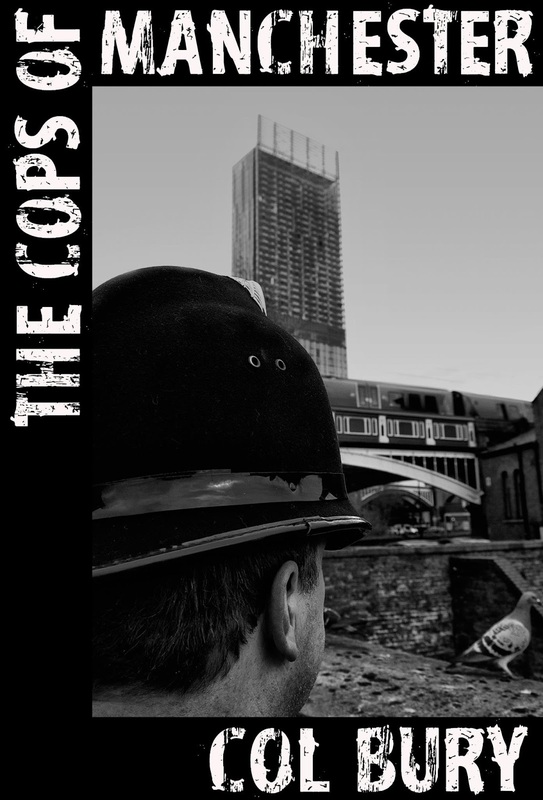 With alternating short and longer fiction, TheCops of Manchester provides an eclectic taste of life as a cop - with a few 'surprises' - in the gritty urban setting of Manchester, UK. Author’s note: some of these stories are hard-hitting, so not for the faint-hearted. 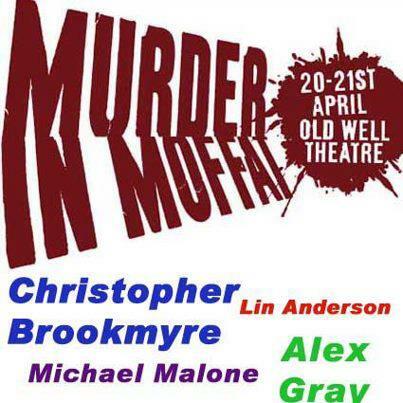 The Old Well Theatre at Moffat, plays host to Dumfries and Galloway's first ever crime fiction festival which includes some of the top Scottish writers, up and coming talent and a blood stained array of excellent panels. Your biggest crime would be to miss it! 3.30 - 4.30 “Fresh Blood”: Mark Douglas Home, successful journalist turned novelist in conversation with Matt Bendoris, currently a journalist- and wrote his first novel on his Blackberry. 11.30 - 12.30 Douglas Skelton: The Buck Ruxton case and its impact on modern forensic science. 3.30 Guided trip to the sites associated with the Buck Ruxton murder: led by Emilio (Jock ) Dicerbo, local author and historian.